If you are thinking about ending your marriage, or are currently in the divorce process, the most important thing you need to do is accept responsibility for the outcome of your divorce. Because a woman's standard of living generally drops at least 30% after a divorce, the decisions that you make now can have a considerable effect on your future. It is wise to establish a plan of action instead of going into your divorce blindly. Begin by being well informed and organized with the Divorce Record Keeper, a comprehensive divorce considerations help guide. 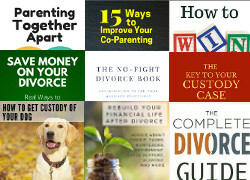 This resource will enable you to keep track and record everything about your divorce from start to finish in an easy to reference fashion. If it is inevitable that your marriage will end, utilize the following divorce considerations to protect yourself. Most importantly, if your spouse has initiated proceedings, do not sign anything until you are represented and informed by a lawyer. Also, do not use the same lawyer that is representing your spouse. Retain your own attorney to level the playing field and have fair representation. Do not make large purchases that will add to community debt. Try to keep all assets liquid. Start to stash back money now for emergencies before and after your divorce. Traveler's checks are a fairly safe way to do this. Put a freeze on joint credit card accounts. Keep working to secure your newly single future. Keep all individual assets separate. 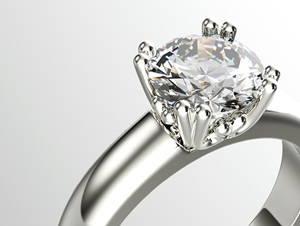 These include inheritances, workers compensation, personal injury awards, items that you brought into the marriage, and gifts given to you individually. Have any necessary mechanical repairs done to your automobile to insure that you have reliable transportation after the divorce. You are eligible for interim maintenance and child support during separation and divorce proceeding. Your ex's bankruptcy won't affect the child support order. Divorce Considerations on Insurance: Before you divorce, get any medical or dental check-ups done while you are still covered on your spouse's insurance. 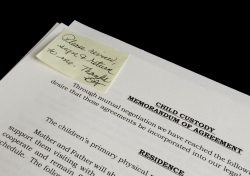 Your divorce papers can stipulate that your spouse carry insurance on the children. You can request that your spouse name you or your children as beneficiaries on his life insurance policy (you may not get it, but it's worth a try). You have the opportunity to continue your coverage from your ex's health insurance plan after the divorce by electing COBRA coverage. You will have to pay l04% of the policy cost, but this can provide temporary (up to 36 months) coverage for you. You need to convert the policy within 60 days of your divorce or legal separation. Pensions are joint assets, and can be divided in a divorce settlement. 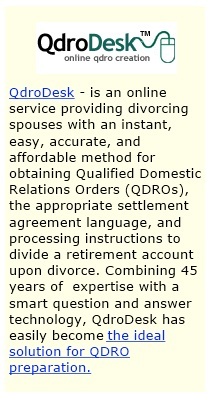 Your lawyer will need to prepare a Qualified Domestic Relations Order (QDRO) before your divorce is finalized. If your marriage lasted for at least 10 years, you are eligible to collect on your ex's spousal portion of their social security pension, provided that you don't qualify to collect based on your own earning. If you qualify, you can collect once your ex-husband turns 62 (whether or not he retires), and the divorce has been finalized for over two years. Unmarried children under 18 are entitled to survivor benefits if your ex-husband dies. If you were married for at least 10 years, you qualify for the same survivor benefits as a widow. Divorce Considerations on Property and Assets: Consider the tax implications of any property received in the settlement. Some property and assets are subject to a capital gains tax of up to 40% when sold. Consult a certified financial planner on the division of assets and holdings. A cash settlement is preferable to installment payments as part of a divorce settlement. Ex-husbands don't always live up to payment agreements. Get the money while you have the chance. While divorce is a very emotional time, you need to approach it like a business deal and take control of the proceedings. Don't cave in because you feel overwhelmed.